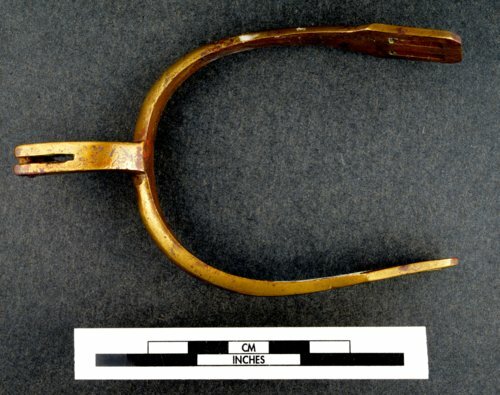 This partial spur was excavated from historic Fort Hays in Ellis County. Despite a few nicks the heel band (yoke) and neck (shank) are in excellent condition. Fort Hays was added to the National Register of Historic Places in 1971.